You can now spend bitcoins at your local mall. But is anyone actually doing that? Last week, bitcoin payment processor BitPay announced a deal with Gyft, a seven-month-old Google Ventures-backed software app that lets users buy and upload retail gift cards to Android-based smartphones. The partnership will allow customers to use bitcoins to buy gift cards for stores such as Gap (GPS), Lowe's (LOW), Sephora, GameStop (GME), Burger King (BKW) and over 200 other retailers. While those stores won't handle the bitcoin transactions themselves -- that's done by Gyft and BitPay -- it brings the number of locations where customers can effectively pay with bitcoins from around 8,000 nationwide to over 50,000, according to BitPay co-founder and CEO Tony Gallippi. 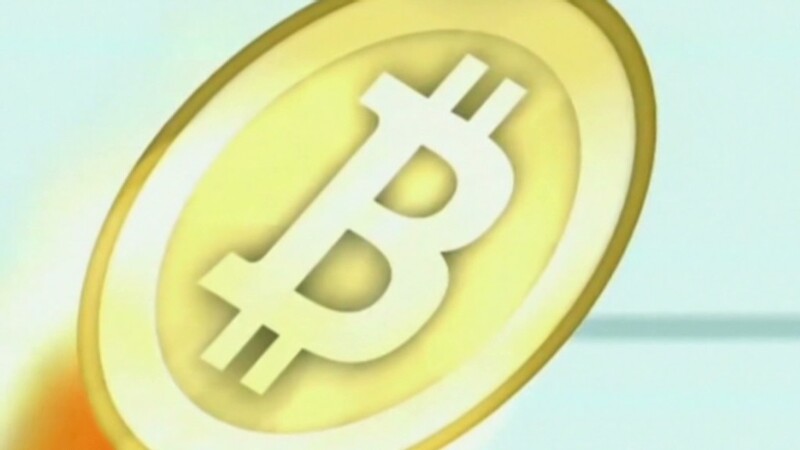 "This really does open the door to retail use of Bitcoin," said Gallippi. "I think it will drive adoption." There's no doubt that four-year-old cyber currency Bitcoin is attracting more mainstream attention. For evidence of that, just look at Bitcoin's soaring -- and volatile -- valuation. The worth of 1 bitcoin zoomed from $20 at the start of the year to $266 in April. It's now worth about $117. What's harder to say is if people area actually using bitcoins to buy stuff. One of the more prominent merchants to start taking bitcoins, blog hosting site Wordpress, is keeping mum on the matter. Wordpress' move to accept bitcoins "was fueled more by curiosity than by profit," a company spokeswoman told CNNMoney. She wouldn't say how many customers had used them, but she did confirm that at least a few people had paid with bitcoins. Online community Reddit, another high-profile acceptor of bitcoins, said about 5% of its premium membership sales are now paid via Bitcoin. At Stomp Romp, a New Hampshire-based online guitar retailer, owner Zach Harvey said that a growing number of people are paying with bitcoins, but he estimated that it's still less than 1% of his businesses. He began accepting bitcoins in 2011. Harvey -- a die-hard libertarian -- remains bullish on the currency. Another company he's involved with is working to help roll out Bitcoin ATMs. He attributes his lackluster Bitcoin sales at Stomp Romp to the fact that "guitar fans aren't really tech geeks." Bitcoins have been a giant hit for at least one merchant: New York City bar EVR has logged more than $26,000 in Bitcoin sales since it started taking the currency just over a month ago. That's about 10% of the bar's overall revenue. "I've been pleasantly surprised," said EVR co-owner Alex Likhtenstein. Likhtenstein said paying with bitcoins is easy. The servers present the customer with a bill on a tablet that has a bar code attached. 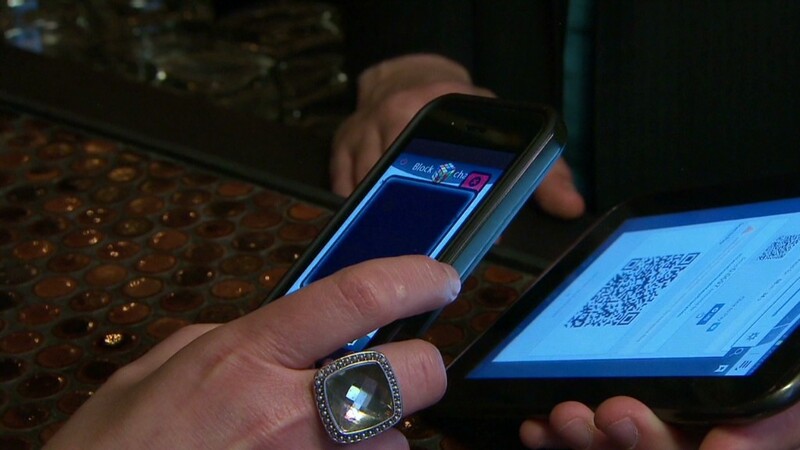 The customer scans the bar code with a smartphone, and the amount in bitcoins is subtracted from their account. He likes the fact that he gets paid faster with bitcoins than with credit cards. Plus, the processing fees are lower. "To a business owner, it has only positives," he said.